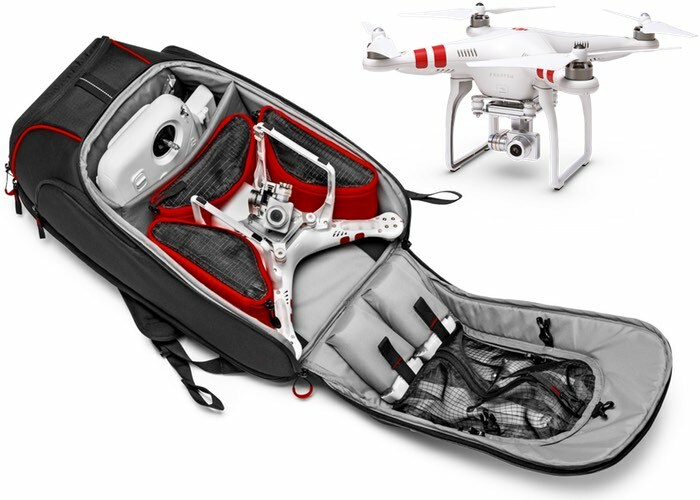 Drone pilots that use the DJI Phantom quadcopter might be interested in a new way of transporting it using the awesome Manfrotto D1 Backpack which has been specifically designed to provide a safe way to transport your DJI Phantom drone. Watch the video below to learn about the specific features which have been incorporated into the drone carrying bag to make it easy to launch and transport your DJI Phantom in style, as well as accommodate the controller and all your other accessories which are needed whilst out on site. Manfrotto explains more about the design of the D1 Backpack for DJI Phantom reference: MB BP-D1 which is now available to purchase for $200. The D1 Drone Backpack is the first model released in the new Aviator collection. This is a new concept of bags specifically designed to carry different DJI Phantom models with its accessories. The backpack is designed paying careful attention to the latest quadcopters design; it is extra-lightweight, water-resistant and extremely spacious. This pack carries a drone with its remote control and all its accessories, plus an additional camera and tripod. It’s an all-in-one carry system that efficiently supports shooting videos with a flying camera and capturing backstage scenes with a tripod-mounted camera. It is perfect for quickly changing locations. With its propellers mounted, the flying camera safely attaches onto the outside of the pack by simply opening the front zip, making it very easy to get out or put away when necessary. The flying camera stays safely cushioned inside and the propellers fit outside the bag. Jump over to the official Manfrotto for more details and full specifications via the link below.